For Part II in my PBL video series, I thought I’d share how I integrate student-generated questions throughout the sequence of the unit. In other words, the students generate the prompts that help propel them along the PBL journey. This post picks up with my last one left off. 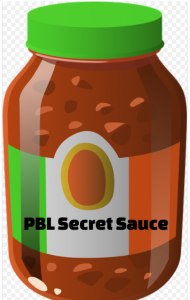 In PBL Secret Sauce: Entry Level Event, I covered how to launch the overall unit. This video represents the very next step, that of having students develop questions generated by their curiosity from that launching element. And while these videos are meant to chronologically follow the day-to-day implementation of a PBL unit, I also share some advice on how to integrate student-generated questions periodically throughout the unit to bring in student choice and voice over and over again. She went on to tell me that the questions the students generated represented the very pathways she herself had planned for her students! What’s even better, however, is that the students created the journey through the unit themselves. 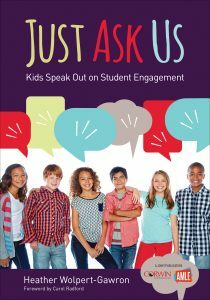 Their questions pointed the class in the direction the teacher initially planned to take them. During a PBL unit, you relinquish authority, but you still pull the strings. See? In the video below, I share five different times during my unit in which I have the students generate questions to guide the next part of the journey. Cialis 20mg - Generic cialis tadalafil http://cialisonli.com/ Kudos, An abundance of content. tadalafil without a doctors prescription - canada medication http://libinintorr.strikingly.com/ Nicely put. With thanks! cialis without a doctor 25 - canadian pharmacy online 24 http://restvatanon.strikingly.com/ Terrific stuff. With thanks! online pharmacy - canada online pharmacies http://www.raiderfans.net/forum/member.php?u=62665-PearlineFa Wow loads of great knowledge. Viagra prices - Viagra uk http://piebreezfer.strikingly.com/ Kudos! An abundance of forum posts! Viagra cost - Viagra sans ordonnance http://iteedpur.strikingly.com/ Beneficial facts. Kudos!